"You don’t know how long you have to wander"
The Switch certainly isn't short of top-quality indie games at present, and with so many titles hitting the eShop each week it can be hard to decide which ones are worth your time and money. Hopefully you consult our reviews to make your purchasing choices, but in the case of Gorogoa, you might find the story of the game's development gives you enough reason to lay down your cash. 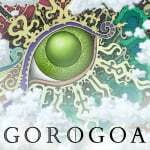 Gorogoa is a unique puzzle title from 43-year-old former software engineer Jason Roberts, and has been in development for the past seven years. Roberts has taken part in an extensive interview with Kotaku in which he talks about his struggles, aims and hopes for Gorogoa, and it's well worth a look. We won't republish a lot of the interview as we'd thoroughly recommend that you give it a read, but it's worth highlighting just how arduous the road to release has been for Roberts. He demoed the game in 2012 to a receptive audience, only to run out of money just a few years after, which caused things to stall - despite winning awards for the game's design and look. The Indie Fund gave him another year of funding, but it would be publisher Annapurna Interactive which would step in to give the game the investment it needed to make it to the finish line. I thought it was going to be a quick process. It took me too long. The fact that Annapurna could bring a dedicated marketing budget felt important. I needed a bad cop, or some tough love, to finish the game. I have that tendency to just… I don’t know. Maybe I would have just kept wandering, design-wise, until I ran out of money. I’m mostly interested in having things connect that are different from each other: different scales, different kinds of things. For a long time, I would think of elaborate puzzles, and they would have elaborate pieces that made them up, and that would cause me to make scenes around those pieces that didn’t really make sense. A lot of games that push the boundary of what a video game is came along later and influenced my thinking. I feel like I’m at the point in video games as a medium where you have to justify… why there are mechanics at all. Why I didn’t want to just tell a story. What do I like about puzzles? I think it has to do with the idea that there is hidden structure or meaning in the world. That if you can look at an ordinary piece of the world and rearrange the parts of it in just the right way, you would discover some hidden structure. And if you look out in the world and you don’t see that meaning there, that means that there has to be some challenge to finding it, to explain why you haven’t found it yet. I think a lot of projects start with one little idea in a corner of something. You expand outward, and you sort of wander around until you hit a top-level idea that sort of unifies everything. You’re just trying to figure out what you’re making. If you don’t know where your destination is, you don’t know how long you have to wander. Have you downloaded this intriguing game yet? We're working on our review as we speak, but in the meantime, let us know your thoughts with a comment. Hmm, guess everyone is asleep. This game sounds really cool. I’m buying it soon. Looks interesting but I definitely need to see some reviews. It's certainly unusual. I need to hear and see more. Plus reviews. I'm buying this cause I like the concept and Annapurna releases quality titles. Looks like a potentially cool game. Although, it appears to be one of those puzzle games where the puzzles themselves are a bit random and don't really have much logic other than messing around a bit until you find what works with no real rhyme or reason for that puzzle being that puzzle in the context of the world other than it's in the scene because the developer wanted it to be there, so solve it. I hope there's a bit more logic and progression to the puzzles than that, else it will end up being like many of those old point and click games where you just point and click randomly until something works, and usually in some way that just makes no sense in the context of the scene, unless you really stretch the boundaries of your common sense. I'm liking the originality of it. Seems like something you could cozy up with in a chair, with some coffee and jazz going on lol. I'm always open to new and varied experiences at least. I'm certainly keeping my eye on this game. It looks quite interesting. I don't usually have much interest in these sorts of puzzle games, but I think this looks incredible. 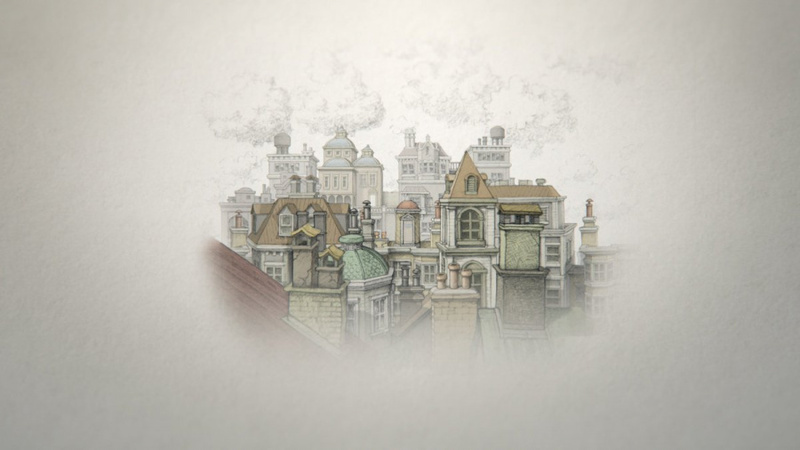 A bit like being inside a surreal animated movie... La Planète Sauvage meets Professor Layton. The illustration looks fantastic, the gameplay novel, and the soundscape highly atmospheric. If the Switch reviews end up being good this will be a buy for me - perfect for a long train ride or a sleepy Sunday afternoon! I can imagine I'd come back to it to - I'm sure I won't remember every puzzle and will want to be dazzled by the story-book visuals again. Much like when you go back to a great film, it's not because you don't know what happens, you just want to enjoy the experience again! This game looks interesting. It reminds me of Professor Layton. Some of unusual concept puzzles should feel familiar while playing this game. Wonderful design thoughts from the creator. I didn't need more reasons to buy Gorogoa, but here they are. The trailer looked great. Waiting impatiently for the review. And yet no one seems to be asking why it's named Gorogoa. Am I the only one wondering? This game is less than half the price on iOS. Why? I beat it in around 2 hours. It's short, and no replayable. But I must say that it has been one of the most wonderful game and visual experience that I have lived. The designer deserves a lot of money, but $15 it's a steep price for sure. It's $7 in the mexican eShop if you want to do the change. Completed it on iOS, and would highly recommend it. It’s very much a unique take on the puzzle/adventure genre, and looks absolutely gorgeous. Annapurna published Edith Finch AND Artful Escape. They clearly know the right indies to publish.